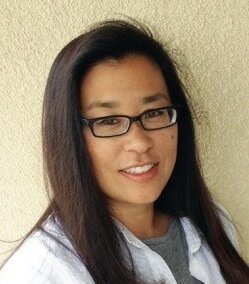 Shirley Ng-Benitez ​(California) is the illustrator of 'Project Popcorn' (2017), recently published and released by Kane Press, as part of its Math Matters series. To learn more about 'Project Popcorn', and find out where you can purchase it, simply click on the cover below. We hope you enjoy reading Shirley sharing her experience of working on this wonderful mathematical story project with you! I’m a third generation Chinese-American, born & raised in California. As a child, my family ventured every weekend to San Francisco’s Chinatown, where my grandparents cooked authentic chinese food for our huge family. It was a wonderful upbringing, with great memories and delicious food! I like to collect small, fun things including tiny vases, boxes, and unicorns. Could you tell us how you became involved the ‘Project Popcorn’ project? In February 2016, I attended the New York Society for Children’s Book Writers & Illustrators Winter Conference for the first time, and left my portfolio and postcards out for a public viewing. Upon arriving home from this wonderful event, I received an e-mail from Juliana Hanford, stating that an author (I believe it was Laura Driscoll) had picked up my postcard and shared it with her. 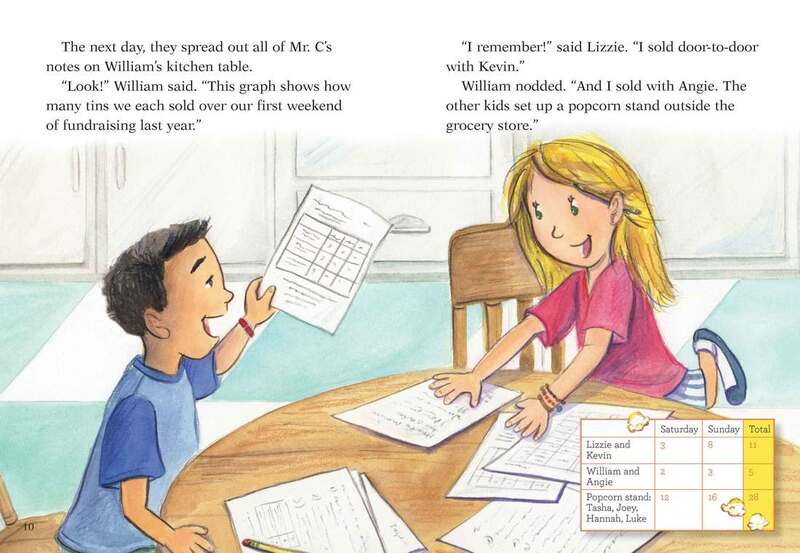 Juliana asked if I was interested in illustrating a Math Matters story, and with that, 'Project Popcorn' became my first illustration project with Kane Press. What was your first reaction when you knew you were going illustrate a picturebook with an explicit mathematical focus? What were some of the key stages that you went through in illustrating ‘Project Popcorn’? The story had many characters. The publisher wished for a wide range of diverse characters, including a person with disabilities so character sketching was a key stage. Another key stage involved sketching out the initial roughs of the spreads and spot illustrations for the entire story. Once the sketches were approved, I developed the tight layouts, and then proceeded to final color illustrations and clean up. Which of these stages did you find most difficult, and why? The most difficult part was the challenge in the initial rough sketch phase where the scenes needed to incorporate all of the characters. Since there were so many to illustrate, layering of people in the scenes needed to be clear, and so there was a lot of erasing at that phase. How long did it take you to illustrate ‘Project Popcorn’? ​Did you find your experience illustrating a mathematical picturebook very different from illustrating a non-mathematical picturebook? The process was quite similar in that it starts with character sketches, and then rough sketches of the book. With Juliana’s assistance, it was quite a smooth and fun process. For those illustrations, I needed to make sure that I left a lot of blank space for the book designer to lay in the math problems. The artwork needed to be more of a “straight-on” angle vs. a dramatic angle, so that the math problems would be presented clearly to the viewer. How much autonomy did you have in coming up with the settings and characters? The direction was specific, though the details of the scenes and characters were left to me to determine. It was quite fun and a little challenging to develop. I enjoyed sketching various ethnicities and designing all of the scenes and environments in the book. I especially liked trying to come up with the final spread of all of the Community Champions creating Thanksgiving baskets for the community. Some maths story authors/illustrators prefer to have a context and setting as close to children’s real-world experience as much as possible. Some prefer fantasy. In the context of mathematical stories, what is your preference, and why? I prefer to present a more real-world experience. 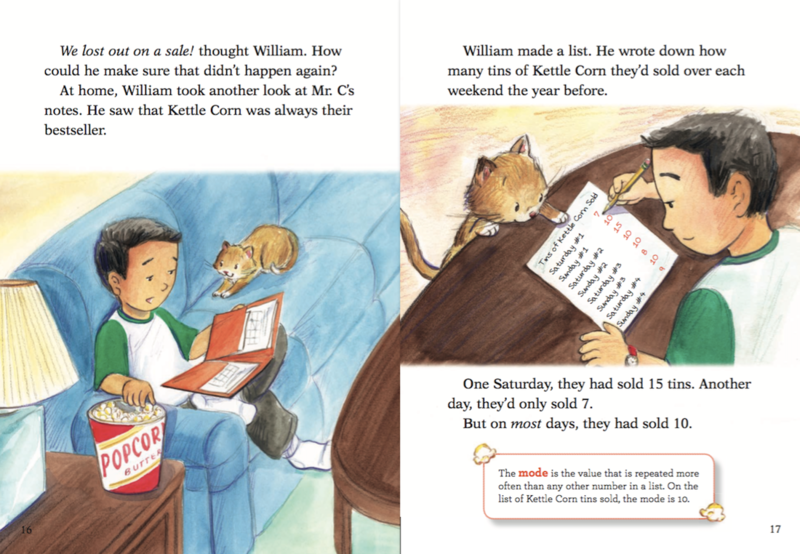 In creating 'Project Popcorn', I drew upon my own children's experience with working on math problems. A big focus in their schools now is to work on math problems in a group. Along with this method, my children work on brainstorming and problems at home, with work spread out on the table to take it all in. I would imagine that it’s helpful to read books that present math in an approachable, comfortable manner so that it is part of their “world” growing up and using math in their lives as they grow up. ​On reflection of your experience illustrating ‘Project Popcorn’, how would you comment on the diversity of the story’s’ characters? The diversity and genders of the characters were determined by the publisher at the beginning of the project. It was great to see the incredibly diverse cast of characters come to life in the story. I especially loved that the main characters were a girl and a boy, equally presented throughout. What do you think are some of the key benefits of helping children to develop their mathematical understanding by reading maths picturebooks? 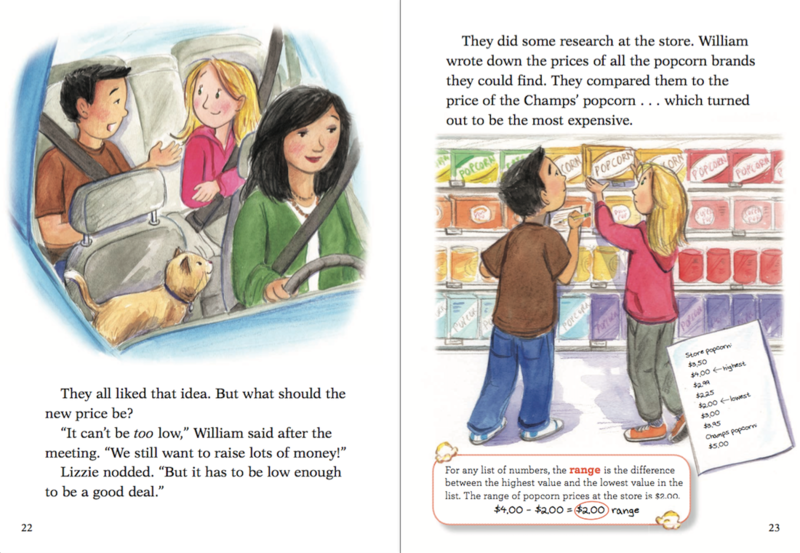 ​I feel that presenting math concepts through fun, “real-world” stories, makes math feel more comfortable, attainable, less-foreign, and much more useful for children as they learn about them. ​What do you think are some of the key benefits of helping children to develop their mathematical understanding by authoring/illustrating their own maths picturebooks? ​For teachers and parents who want to encourage their children to create their own maths picturebooks at school or at home, but not sure how to guide them through the illustrating process, what would be your advice? I would start by thinking about the story, characters first, and then doing quick “stick-figure” sketches for each spread. For the spread that might have multiple math problems, it would be useful to think of sketching small “vignettes” or spot illlustrations. Once the rough pencil stick figure sketches are made, it would be great to move onto color of any kind. My advice is to try to give the children good tools to begin with (good quality paints, paper, brushes, pencils, etc.) so that they will not have to fight with the materials. Often times, the frustration starts when the tools just aren’t working well and that defeats the creative momentum! ​Also, simple illustrations tell a lot! Each spread does not need to be an elaborately painted scene. You can vary the spreads and work involved by using cropping, or zooming in on faces and expressions if you’re having challenges with environment. ​For teachers and parents who want to become professional illustrators, what would your advice be? If teachers and parents wish to illustrate for authors, I would start by learning more about the children’s book market and the illustration & children’s book publishing industry. The Society of Children’s Book Writers & Illustrators (SCBWI) is the go-to organization for the industry. The SCBWI also has many worldwide groups which hold events throughout the year to learn, and share within the community. Underdown.org is also a great children’s publishing resource. There are also many online sites that offer illustration education (schools, workshops, online courses, etc.) that would be great to investigate if one wishes to illustrate. lllustrating a book can take quite a few months, if not a year or so, if traditionally published. I have also had the great fortune of having an illustration agent who helps me find opportunities for illustration projects. Illustration and literary agents can be found online as well. For traditional publishing, I would highly recommend focusing on your illustrations and having a portfolio of work available both online and in person, so that you can present it to potential agents. ​"For me personally, learning math was a tedious experience at times, and so I wish that I had this resource and more recently as a parent to two daughters. Keep up the great work, MathThroughStories.org!" ​​What do you think of the research that we do and the resources that we provide to teachers and parents on our MathsThroughStories.org website? The MathThroughStories.org website offers a wealth of resources for anyone wishing to teach math in a fun and incredibly accessible way by pairing it with children’s stories to learners everywhere in the world. From research projects and findings, to teacher training, and especially the MathThroughStories.org' s Recommendations for Mathematical Stories section, the work that the organization does is an invaluable resource. ​For me personally, learning math was a tedious experience at times, and so I wish that I had this resource and more recently as a parent to two daughters. Keep up the great work, MathThroughStories.org! ​ ​​Illustrations copyright © 2017 by Shirley Ng-Benitez from Project Popcorn by Laura Driscoll. Kane Press. All Rights Reserved. Have comments about this interview or Shirley's book?